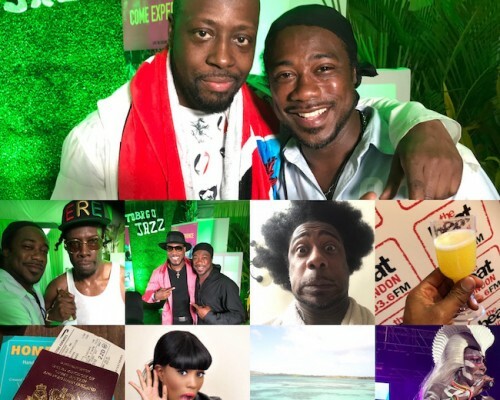 Every April/May Tobago plays host to some of the most soulful people on the planet with some amazing performers, international artists and local talent descending on the island for the annual Tobago Jazz Experience. 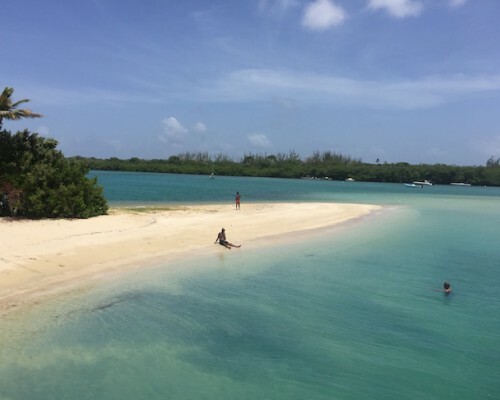 Tobago is one of the most beautiful destinations in the Caribbean and music lovers can enjoy 8 days of jazz, world beat, salsa, latin, R&B, soca, reggae and much more. 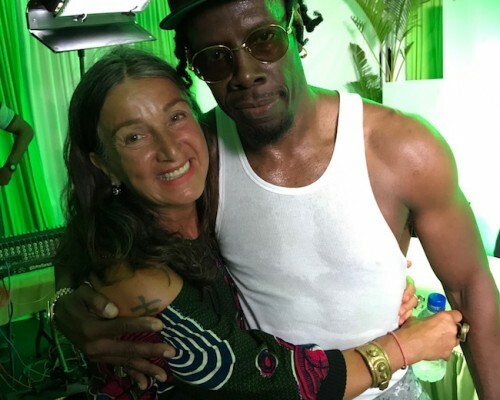 This year was the 9th festival and finished just in time for myself and entertainer and broadcast journalist Kat B to nip over to Grenada to cover the 2nd Pure Spice Music Festival featuring Tarrus Riley, Third World & Queen Ifrica but more about that later. Previous festivals in Tobago have featured artists such as Diana Ross, Stevie Wonder, Sting, Elton John, Dionne Warwick, Whitney Houston and John Legend in the past and attracting celebrities like Richard Branson to party on the island yet the festival is little known outside of the Caribbean. I still get told ‘you mean St Lucia’ when I say I am off to Tobago for their jazz festival. Sadly, the festival has suffered budget cuts over recent years but despite these, this year’s line-up was advertised to include Morgan Heritage, Grace Jones, Shabba Ranks and D’Angelo. D’Angelo sadly had to pull out just days before he was to appear due to a family bereavement and was replaced by the great Wyclef Jean. The festival kicked off with a free show in Speyside in the North East of the island on the Saturday. 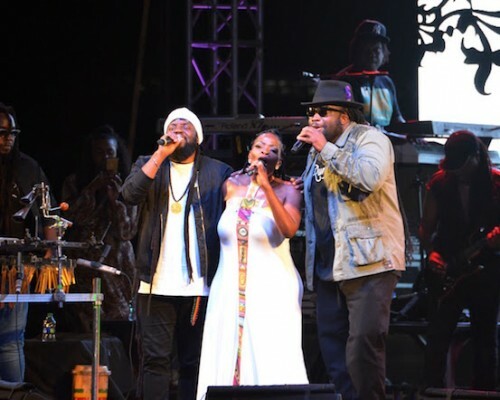 This year’s show was headlined by the Royal Family of Reggae Music Morgan Heritage. The rest of the evening’s entertainment was made up of local acts. The acts that stood out for me were Adanna and Kay Alleyne who had us all on our feet dancing in a brief downpour. Whilst I applaud the idea of profiling local talent, the show would have benefitted from giving some of the performers less time on stage as Morgan Heritage came out an hour later than advertised and then were only on stage for 45 minutes. The Royal Family of Reggae Music did not disappoint performing a set comprising of their hits Don’t Haffi Dread, Down By The River, Strictly Roots and so many more. It was good to see Sister Una back on stage after a lengthy absence due to a life-threatening illness and long spell in hospital and looking fabulous as ever! The ensuing week saw Jazz On The Move, small jazz performances taking place in hotels, restaurants, plazas and bars throughout the island, a midweek evening of music in the capital city Scarborough, a “New Orleans styled” town affair with performers showcasing their talents simultaneously on several stages along the waterfront where you can enjoy a soothing repertoire of unplugged solo, duet and band acts with vendors supplying an abundance of food, drinks and crafts. By the weekend the island is full to capacity as visitors arrive for the main shows at Pigeon Point. 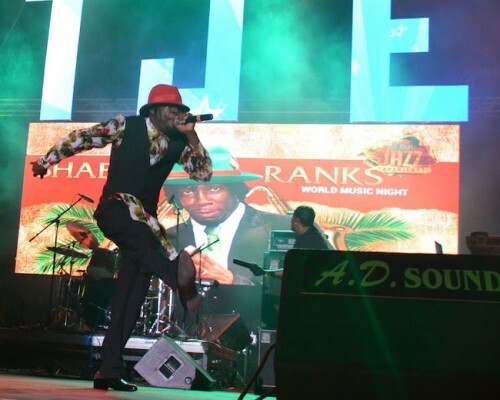 Friday evenings show saw local act KI & The Band, Kes the Band and Chromatics liven up the crowd with international acts Shabba Ranks and Wyclef Jean. Once banned on every radio station in Trinidad & Tobago, now known as the voice and face of Hip-Hop in Trinidad & Tobago, Chromatics played a blistering set, after the show he told us he feels that lyricism is his foundation with double and triple entendre his artistry. He recently toured the USA, as well as performing he produces and supports other Caribbean hip hop artists. He believes artists from Trinidad and Tobago bring a different perspective to the rhythm side of the art. He feels he represents an entire generation of Trinidadians that are sometimes overlooked in the music of the islands. Kes The Band hail from Trinidad. The group formed in 2005 and are known for their unique blend of soulful vocals, Calypso music inspired melodies, rock music riffs and island beats, with hints of reggae as well as other international influences. Hugely popular with their home crowd they did not disappoint with a high energy performance that no-one could fail to move to. After their performance, they told us it is important that Caribbean people love, treasure and honor their heritage and that music is a big part of that. Trinidadian oil will run out but culture will not. They congratulated Tobago for holding the annual jazz festival as it the only festival celebrating music other than carnival in the islands. Mi Soul’s Lewis Benn asked what is the next level for Kes The Band who responded saying they find the most joy playing for crowds who are unfamiliar with their music. Look out for their dates at indigO2 later this year. 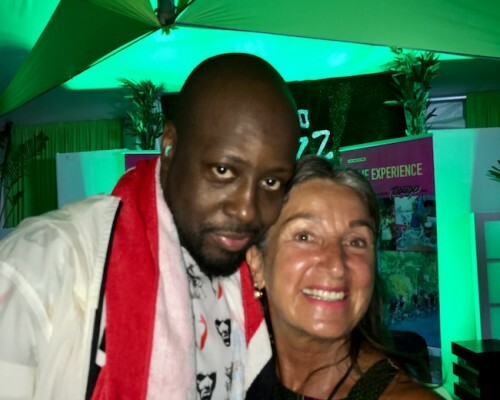 Despite being booked with only 48 hours’ notice Wyclef was ready for the predominantly Trinidadian crowd. He tore through his many solo hits as well as those with the Fugees. He talked to the crowd about DJing around the world before demonstrating his craft playing some of Trinidad & Tobago’s latest carnival hits. A multi-talented musician he played the drums, the bongos, keyboards and guitar. 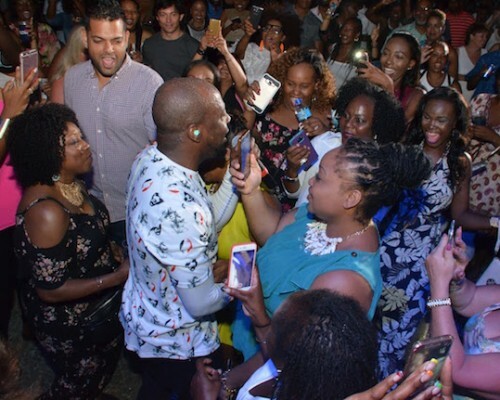 He gave security nightmares jumping coming out into the audience, climbing a 60-foot-high sound tower before jumping into the VVIP section making the T&T dignitaries loosen up their ties, stand up and wine their waists – no mean feat! Politics is never far from his music as he talked about the Caribbean and Trump. He had the entire crowd jumping by the end of his set and I didn’t hear anyone mention D’Angelo! After the show, he told me that he sees himself as a sound man and that he loves connecting with the music of locals wherever he is in the world. He has spent the past years helping to put a political structure in place in his home island of Haiti. I asked him whether he sees his future in politics or music he was clear that being a rock star is way sexier than being a politician but said that when his country calls him he has no choice but to answer. He hit the ball so far out of the park he made it hard for even the great Shabba Ranks to follow. But Shabba did his thing bringing a high level of energy to the stage. It is easy to forget just how many hits he has had over the years including Mr Loverman, Ting A Ling, Shine Eye Gal, Wicked in Bed and so many more. The crowd clearly loved him but towards the end of his set they began to drift away, perhaps coming off the adrenalin high from Wyclef’s awesome performance. After the show asked if he had a new single Shabba told us a new song is always coming and that he plans to make music until he is old and grey. He feels it is important that he carries on, as a ghetto youth himself he gives the youngsters something to aspire to. He said winning the National Music Award in his home country of Jamaica meant more to him than both his Grammys. 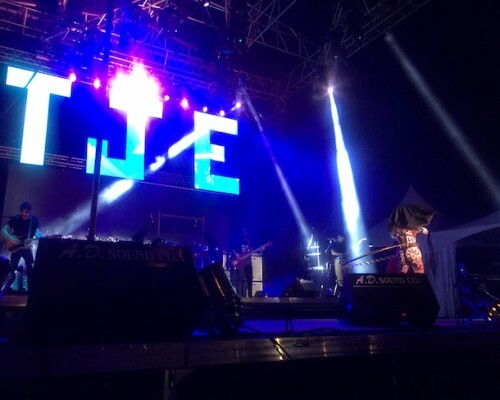 The final night of the festival was the Beach Music Fiesta and included Jazz Master Ronald ‘Boo’ Hinkson and Elan Trotman in the line-up headed up by the infamous Grace Jones. 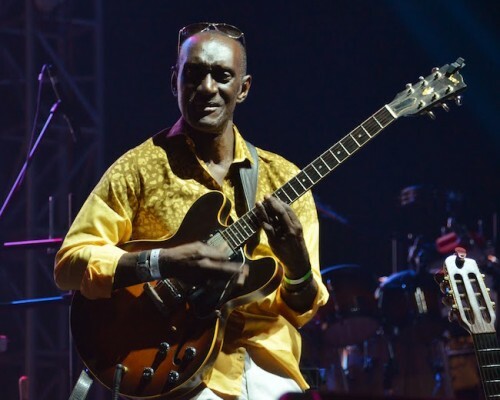 St Lucian guitarist ‘Boo’ Hinkson’s talent transcends cultures and sounds, bringing a fresh and innovative blend of jazz and Caribbean music. A gifted composer, producer, and musician his unique approach and versatility enable him to deliver a distinctive signature sound and his set did not disappoint. Elan Trotman is one of jazz’s most thrilling and emotive performers. He has fresh ideas and a distinctive tone. The New England Urban Music Awards, and The Barbados Music Awards both named him Jazz Artist of The Year on multiple occasions. Before his performance he told me that jazz is his first love but that he loves to bring in soca and reggae fusion tributes. Surprisingly this was his 1st time performing in Tobago despite the fact his mother was born in Trinidad. He praised the Tobago House of Assembly for continuing to support the Jazz Experience. Most of the islands have lost their jazz festivals over the past years the latest casualty being St Lucia whose PM announced the axing of their jazz festival at the end of 2016. Elan’s set was electric and he had the crowd jumping. His Caribbean influences could not be missed in his music and his use of steel pan in some of his songs added a truly local flavour which was a hit with the locals! As the sun set on a fantastic 8 days of music the closing act of the festival was Ms Grace Jones. She did not disappoint, wearing nothing but an under the bust corset and body paint copied from that worn by the Nigerian Ebu tribe. Ms Jones changed her outfit between each song either adding a head-dress or skirt. Hard to believe that this fit, ripped woman is 68 as she leaps energetically around the stage performing her many hits including Slave To The Rhythm and Pull Up The Bumper. She even hula hooped for 12 minutes during her performance, no mean feat in high heels. Always bizarre and slightly fierce she entertained the crowd for a good hour before the lights went down on another fabulous 8 days of music, sun, sea, food and festivities. 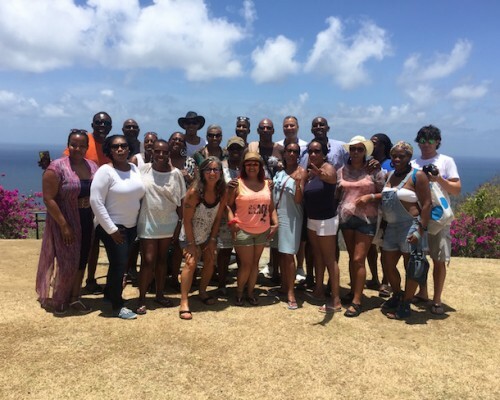 Tobago Jazz Experience 2018 is from Saturday 21st – Sunday 29th April 2018. If you wish to attend as part of GeeStor Productions annual trip with their own entertainment package running alongside the Jazz Experience with Lewis Mastermind Benn, Kat B and Mr B then please email sarah@geestor.co.uk for details.